Compared to the harsh damage stemming from computer threats like ransomware, browser hijackers and adware seem like no big deal. 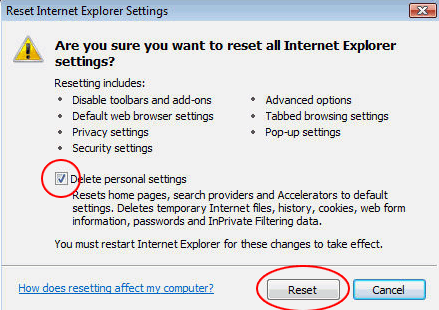 And yet, with the certainly milder impact in place, these little culprits are noxious enough to drive anyone nuts as they meddle with victims’ web surfing experience. Users confronted with the appleshop.today redirect malware know how nasty these infections can get. What is the appleshop.today virus? When the appleshop.today URL is entered in a browser, it returns a blank page. Meanwhile, numerous computer and mobile users have been discussing it on security boards as an aggressive browser malady and are at their wit’s end how to get rid of it. The two facts mentioned above definitely don’t match. Why? It’s because the domain name in question gets literally weaponized when appended with a certain string. It resolves a landing page for some cheesy ‘lucky’ prize win or an advertisements of some worthless product. This hallmark is a sign of a browser hijack, where a piece of perpetrating code silently creeps into a PC and turns the user’s Internet routine upside down. The victims usually bump into redirects where the original URL is concatenated with ‘ld’ or ‘lp’ suffix, plus a long tail of hexadecimal characters. This appendix is nothing but an identifier or a specific ad campaign that the authors of this virus are pushing. 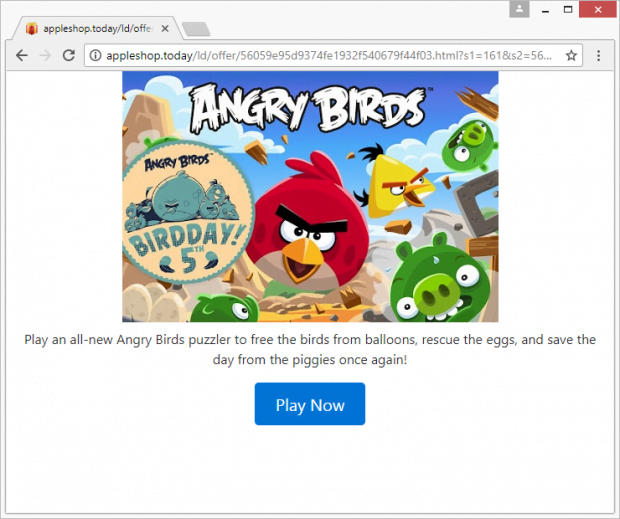 The most frequently reported landing page is the one encouraging users to play a new Angry Birds puzzler that was allegedly released on occasion of the game’s fifth anniversary. 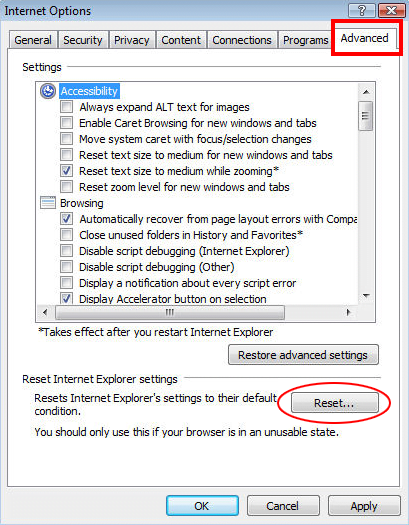 Clicking the Play Now button triggers another rerouting event that leads to a site full of advertisements and other sponsored information. One more scenario of the traffic divert trickery revolves around congratulations on a fake prize win. Unsuspecting people are told they won a high-end smartphone or its money equivalent. 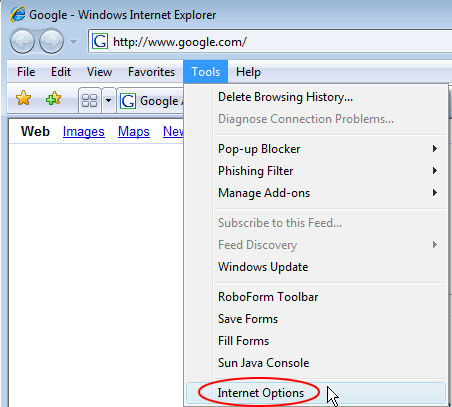 Either way, once a victim clicks through the prompts they will visit a malicious site or one inundated with ads. The linked-to page may also have a cryptocurrency mining script running on it, consuming the visitor’s CPU and GPU resources without their awareness. The way the appleshop.today malware infiltrates computers is fairly classic. 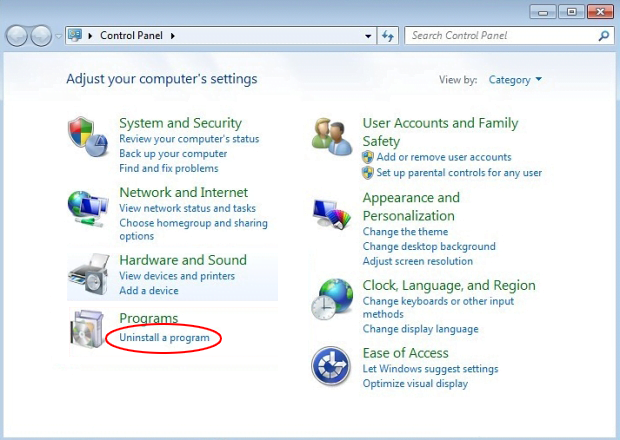 It is bundled with freeware or shareware downloads so that the user opts for the setup while thinking they are installing a benign program. 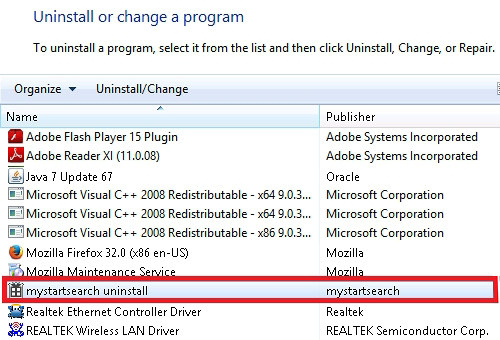 The default, or recommended, install option is where the trick lies as it may conceal undisclosed items that accompany the main application. 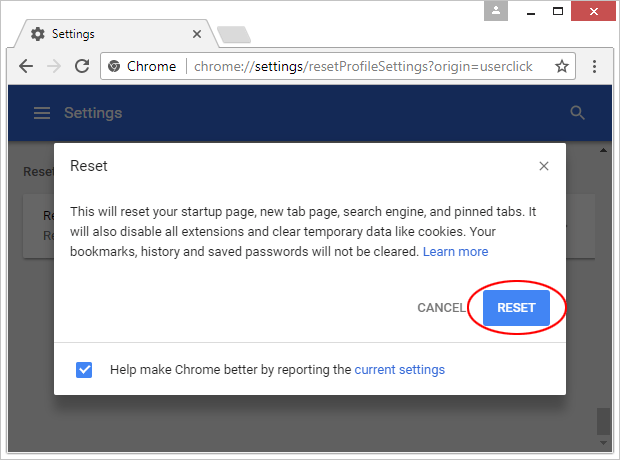 Most of the time, users can save themselves the trouble of handling the redirect activity by simply selecting custom install and removing checkmarks next to the entries they don’t want. 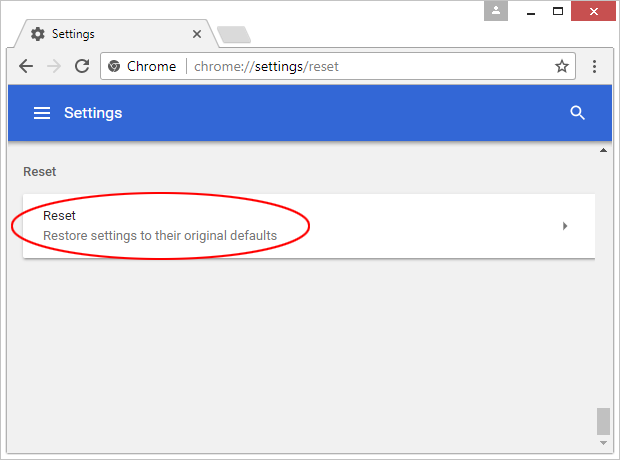 As soon as the virus has hopped on board, it adds a malicious browser plugin which, in its turn, interferes with the normal DNS configuration. 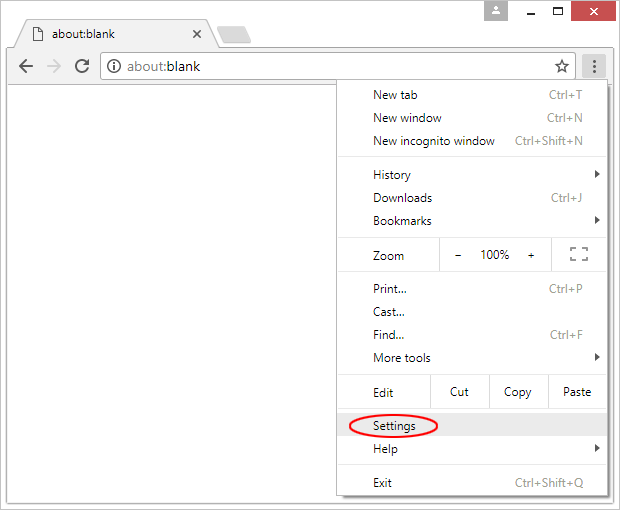 The pest also complements visited websites with a virtual layer to trigger the rerouting when a random spot is clicked on them. At the end of the day, appleshop.today becomes a nuisance that wreaks havoc with the victim’s online activity big time and is therefore subject to removal without delay. The extermination of the appleshop.today virus can be efficiently accomplished with reliable security software. Sticking to the automatic cleanup technique ensures that all components of the infection get thoroughly wiped out from your system.